A BlackBerry Q10 owner was messing around with a leaked build of BlackBerry 10.2, OS 10.2.0.663 to be exact, which allows some apps for Android 4.2.2 to run on a BlackBerry 10 device. One of those apps is Facebook Home. The less than well-received app didn't go over too well with Android users, but might find some BlackBerry 10.2 users more willing to give the launcher a chance. Facebook Home worked smoothly on the BlackBerry Q10 with the 10.2 update installed, and even launched sideloaded Android apps on the phone. Perhaps the launcher will find a fan base amongst BlackBerry users after being unable to catch on with Android sporting smartphone owners who were upset at having to give up their widgets to use it. And it wasn't just the Facebook Home app that did poorly. The HTC First, the first (and possibly last) Android flavored model to come with Facebook Home pre-installed, needed a huge price cut to 99 cents on contract in order to finally sell some units. 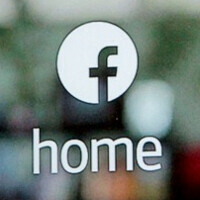 Nobody likes FB Home on Android, why BB fans will make an exception? becoz bb has no choice . Is Facebook Home some kinda exclusive app on BB 10? Never heard of it. I'm not sure whether it's possible or not, but I think Blackberry should really consider on making BB10 a full fledge Dual OS platform. BB10 for productivity and Android for everything else. Or maybe let the Android Runtime to also access apps directly to the Google Playstore with the ability to buy apps. While BB10 is a really nice OS, the apps selection is very lacking. WP8 has a lot more healtier selection of apps IMO. or maybe they could just build their own customization on top of Android.